Suvarnabhumi Airport makes public its new logo for the first time on 15th January 2010. Mr. Serirat Prasutanond, the President of Airports of Thailand Public Company Limited (AOT), revealed the new logo of Suvarnabhumi Airport. He also said that the creation of a logo is a measure to support AOT’s vision of being “Asia’s Leading Airport Business“, and aim of becoming a World Top 10 Airport in Airports Council Internationalâ€™s (ACI) Airport Service Quality ranking program. Novotel Suvarnabhumi Airport Hotel has achieved the prestigious Green Globe Certified status under the Green Globe Earthcheck Certification programme managed by EC3 Global. The global programme recognises Novotel Suvarnabhumi Airport Hotel‘s commitment to operating at the world’s highest environmental standard. Prior to achieving Certification, Novotel Suvarnabhumi Airport Hotel successfully Benchmarked using the EarthcheckTM tool against key environmental indicators including energy and water consumption, total waste production and community commitment. The State Railway of Thailand is delaying the opening of its Suvarnabhumi Airport Rail Link after it found the developer Siemens would be unable to finish the railway on time. 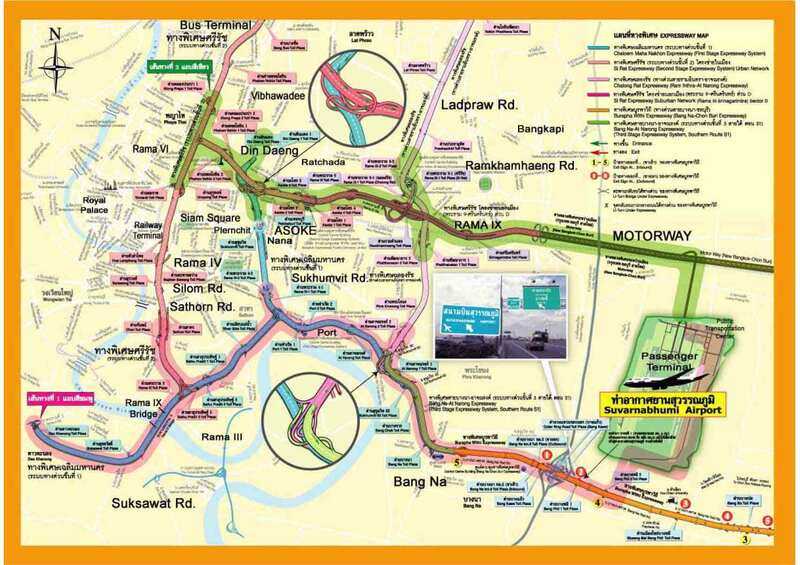 SRT governor Yutthana Thapcharoen yesterday said his agency had planned to start commercial services between inner Bangkok and Suvarnabhumi airport next month, but Siemens was not ready to hand over the system. © 2005 - 2019 Airport Suvarnabhumi.Com. All rights reserved.